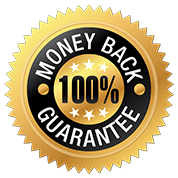 If you are not 100 % satisfied and making money with my premium picks, I refuse to be paid. I will happily give you your money back on any purchases. Sincerely, Nathan Prather. Unlike my competition I will always tell you EXACTLY how to bet my Picks. Unfortunately my competition likes to brag about massive payouts from their picks while never actually telling you EXACTLY how to bet their picks. That’s not marketing, it’s lying and I refuse to do it. So, Do you want to cash more tickets? Stop guessing and start using the stats that matter. Let these Free & Pro Quick Picks do the work for you. They catch patterns you can't see from reading the program. Copyright © 2019 HorseplayerToolkit. All rights reserved.